Very soon, Australia will have access to 5G data speeds. This is revolutionary, and some industry players have suggested that a significant market share will move from National Broadband Network (NBN) to mobile broadband. However, Telstra says that 5G mobile will never supersede the NBN due to capacity issues. The 5G mobile network is expected to provide superfast speeds which means customers can connect to the internet and download materials faster. Andy Penn, Telstra CEO, expects customers to shift allegiance from fixed broadband services to mobile broadband when the network is launched. 5G is a significant leap from the previous network generations and introduces an array of new technological possibilities. The Australian government already released a 5G directions paper which aims at starting the rollout of 5G by 2020. This network will support faster data speeds, improved connectivity, and extremely low latency. The economic and social benefits of 5G cannot be underestimated. Once the network is fully operational in Australia, subscribers will find it much easier to interact with the web. Other players are seeing a host of possibilities brought about by the convergence of mobile services and high speed fixed lines. Due to cost constraints, the much-awaited 5G network will not be able to attain the same capacity as fixed line network. Very huge infrastructure investments must be made for 5G to operate at full capacity. On average, an estimated 3GB of data is downloaded monthly through a mobile device in Australia. This pales in comparison with the 150GB downloaded through fixed line broadband over the same period. Most telco subscribers will be coming to the 5G mobile broadband with a goal to download large amounts of data for video streaming and running other bandwidth-hungry applications. However, this will be expensive for them compared to the NBN. Increasingly, customers are looking for a network solution that will serve all their internet needs and 5G, at least at the beginning, will not be able to do that. Wireless networks such as 5G need a connection with the base stations referred to as backhaul. 4G network backhaul uses microwave links, while 5G networks use optical technology due to the massive amounts of data to be moved. This is the same technology NBN uses for fibre-to-the-premises (FTTP) connections. As a matter of fact, the coming of 5G could open a new revenue generation stream for NBN Co. as it moves to densely populated areas in need of 5G base stations. In addition, NBN’s future upgrades of the FTTP sections may accommodate speeds of up to 10Gbps which cannot be realistically achieved with 5G. Therefore, when it comes to video streaming and applications like virtual reality, NBN will still keep its position as the network of choice for customers. 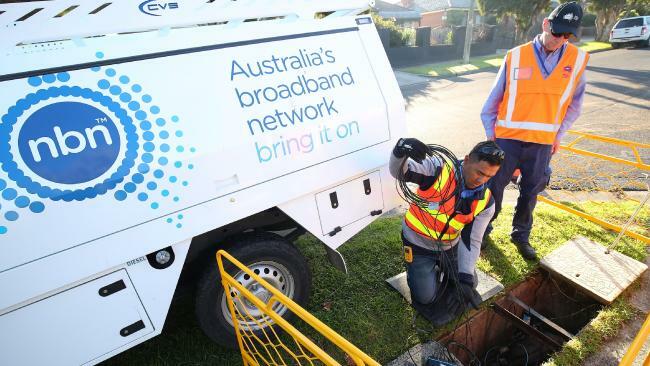 NBN Co., the company mandated with the task of building the fixed line broadband network, suspended their hybrid fibre-coaxial (HFC) network rollout to enhance their connections and reliability. The delay is likely to last anything between 6 and 9 months as the company repairs customer experience issues. There have been complaints from a section of customers that they are experiencing network dropouts on the HFC. NBN says that the rollout delay will last until all these issues are adjusted so that subscribers can get quality services. The company argues that compared to any other technology, the HFC network has been faster in its rollout. In terms of connectivity, 3.1 million premises are already on the HFC footprint with 370, 000 already connected and an extra 50,000 waiting on the queue. The customers to be affected by the delay are those who are in the footprint, but not in the queue. NBN Co. plans to complete the rollout by 2020. Not every customer connected has a problem with the HFC network, in fact most of them are satisfied. The announcement by NBN Co. led to a fall in Telstra’s shares as market participants became concerned that it could lead to a delay in its expected payments to Telstra. This will in turn hurt Telstra’s bottom line. All in all, the 5G network will be a gamechanger to a certain extent, but not superseding the National Broadband Network.